At the Kumbh Mela, sometimes older people or unwanted young daughters — India has one of the world’s highest rates of female foeticide, and rising — are deliberately abandoned. Meghsingh Badouria, 75, was left freezing in his underpants after losing his clothes and his friends following a dip in the holy waters at the world’s biggest gathering, Kumbh Mela, in Uttar Pradesh’s Prayagraj. He is not alone. In the cacophony and chaos of the vast religious festival, it’s easy to get lost among the millions upon millions of Hindu devotees. “I got separated from my villagers and went to the sangam (the holy confluence of rivers) and gave my bag to a stranger to look after while I went to bathe,” Mr Badouria told AFP. “When I came back my bag was nowhere to be seen… It was early in the morning and it was cold,” he added. 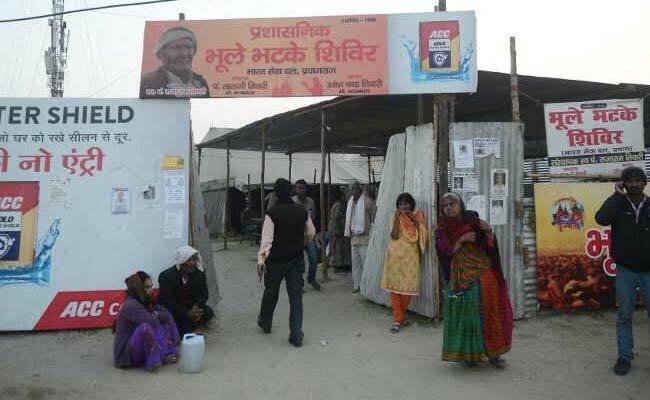 But help is at hand: There are 15 lost and found centres around the Kumbh grounds, a dusty maze of tents the size of Manhattan thronging with people from mid-January until early March. 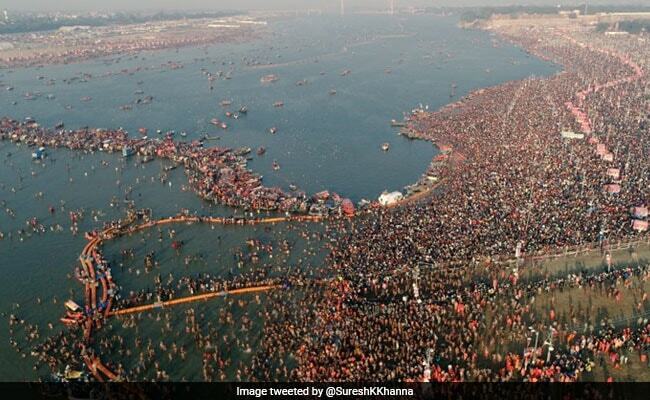 “We get 70 or 100 people every day,” said Shivani Singh Sengar, 21, a volunteer who spends long days making announcements over the Kumbh’s 3,500 loudspeakers in a bid to reunite friends and family. As Mr Badouria explained his story, clothed by festival volunteers but still without his friends, a panicked mother sobbed tears of relief after being reunited with her two daughters, aged five and seven in the centre. “After the bathing ritual, we decided to shop before heading home. As we purchased some clothes, I realised both my children were missing,” said mother Ranjana. “It was a nightmare and I cried a lot,” she added. As many as 150 million people are expected to visit this Kumbh. Getting separated at the Kumbh and reuniting miraculously decades later is a common Bollywood story line. But technology and in particular the ubiquity of mobile phones — there are now 830 million of them in the country — means that people get lost a lot less they used to. The 15 lost and found centres are connected via computer and there is a state-of-the-art police command centre to oversee operations. Pictures of the missing rotate on television screens. There is a special Kumbh app helping reunite people, providing they can read, which is far from a given. “One lady…it was the first time she had left her village. She couldn’t explain where she came from, she couldn’t identify any landmark,” Ms Sengar said. “We checked Google. We asked her about the river near her home and temples. Eventually we worked out she was from Bengal,” he added. Binnu has been at the lost and found centre for two weeks. “I am comfortable here but a bit worried. Hopefully, someone from my family will turn up soon,” the 65-year-old, who doesn’t know her address or the phone number of any family members, told AFP. 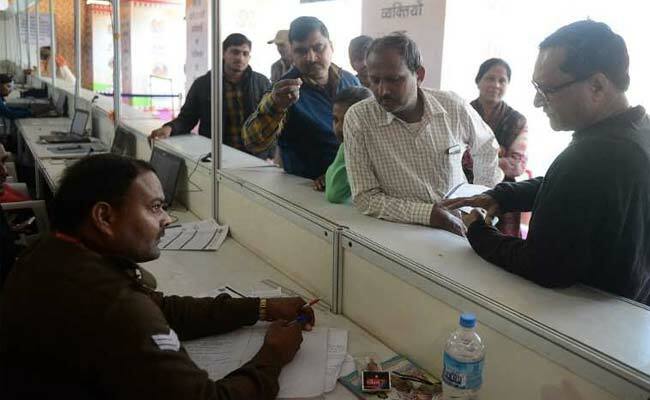 Maninath Jha, a Kumbh official, told AFP that reuniting people is “the norm”. Those who cannot find their friends or family are eventually given money and a letter to allow them free train travel to get home. Kumbh Mela gathering in Prayagraj. Many of those who get lost are illiterate older people from rural areas or young children, and counsellors — and toys — are on hand to help those who are distressed. Sometimes older people or unwanted young daughters — India has one of the world’s highest rates of female foeticide, and rising — are deliberately abandoned. Volunteer Ms Sengar said a two-year-old girl with a serious medical condition had been abandoned at the festival, and that such cases were not unusual.